EFF MPs set on disrupting President Jacob Zuma's State of the Nation Address on Thursday night might want to re-consider their plan of action, should they want to take part in the SONA debate next week. EFF leader Julius Malema last week said the party would disrupt the joint sitting unless the president answers questions on why he axed former Finance Minister Nhlanhla Nene. The New Joint Rules of Parliament states any members withdrawn from the House will automatically be suspended for five parliamentary working days. MPs will debate the president's speech next week Tuesday and Wednesday. 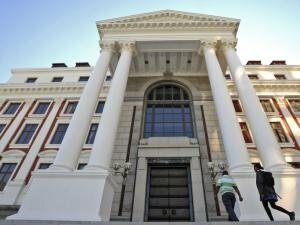 Zuma will then give his reply on Thursday while the suspended MPs will only be allowed back on Friday. President Zuma's address comes on the back of dire warnings by ratings agencies about South Africa's growth prospects for the coming year. It also comes a few days after arguments in the Nkandla matter was heard in the Constitutional Court. Chaos erupted during the last SONA when EFF MPs chanted "pay back the money", delaying President Zuma's speech. The Serjeant-at-Arms was called in to remove the members, where after a scuffle ensued. These events lead to the New Joint Rules agreed upon by various parties, excluding the Economic Freedom Fighters. The rules were adopted in November 2015.